Situated about 30 minutes speedboat ride from Laem Ngop Pier on the mainland, Koh Wai is a tiny island of 2 to 3 kilometres long by the same again wide. Despite having no villages, shops, local houses, roads, vehicles or mains electricity, there are five places to stay, a mixture of backpacker style thatch huts and simple resort-style bungalows. A handful of lovely small beaches line its north shores, with a simple coastal path connecting them together, a walk of no more than 30 minutes. The interior and other coasts are untouched forest. Not surprisingly, given its location, shallow waters and white sands, Koh Wai is immensely popular with snorkeling boat trips coming out the 20 minutes from Koh Chang and it does get crowded at certain times of day. Heading further south, Koh Mak is 30 minutes away, Koh Kood 90 minutes. 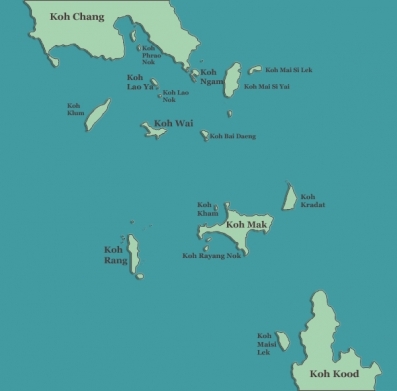 You can Contact Us with your questions about the Koh Wai. We are only too happy to help and can book private transfers to and from the pier and boats. 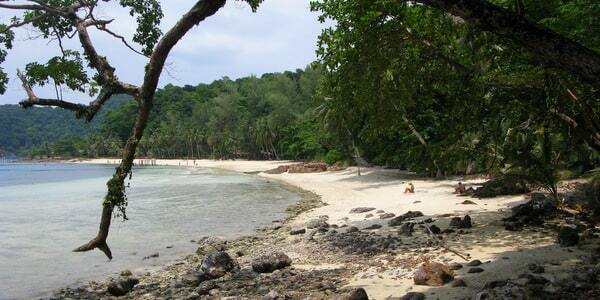 We can also help with your planning as you combine a Koh Wai holiday with a trip to Koh Chang, Koh Kood, Koh Mak or Cambodia. Our guide to the bungalows and resorts on Koh Wai, where room prices range from 300bt to 1,500bt per night. Details and information on each place with a chance to book. 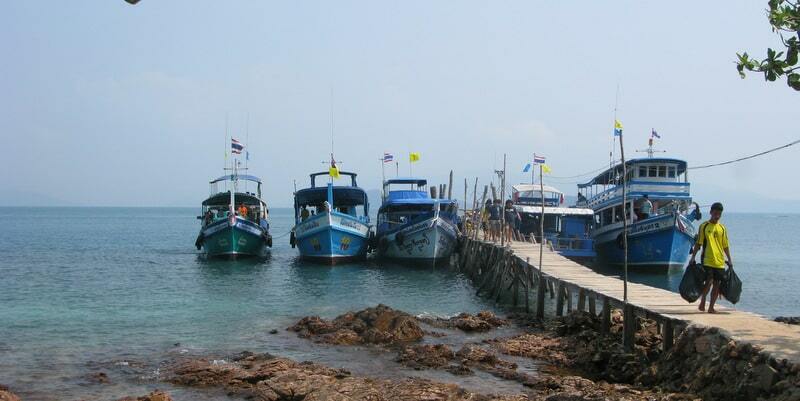 Our guide to speedboats from Laem Ngop and private transfers from Bangkok to the pier. 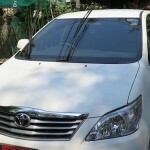 Details too on flying in and out from Trat Airport, public buses to Trat or the Koh Chang Piers and of course island-hopping from Koh Chang, Koh Mak and Koh Kood. We take a gentle stroll along the coast from one beach to another, with full information on where to find each resort, how to find the best coves and hidden spots and how to avoid the daytripper crowds.